On behalf of IPA Spain’s Tarragona and Canarias regions, please find attached an invitation to the 1st International Seven-a-Side Football Championship for Police, taking place from the 12th to the 15th of December 2019 in Adeje, Tenerife. The Guide has also been attached in pdf format for you. If your section has an update, please kindly send it to the IAC for inclusion in the next edition. 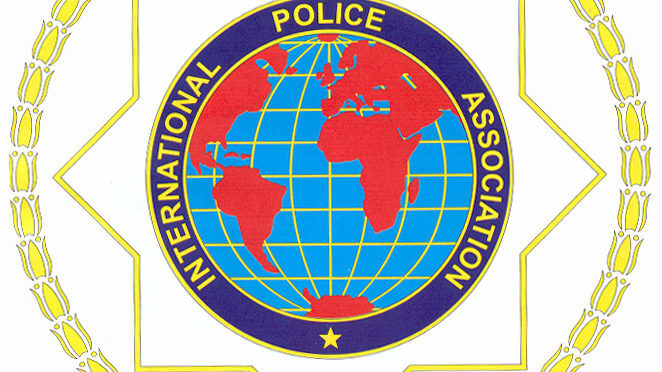 Welcome to the April 2019 edition of the IPA Newsletter! A pdf version has been attached for your convenience, and as always, a Word copy is available on request. Please circulate the IPA Newsletter as appropriate – we will also publish it on the IPA international website and post it on social media. On behalf of the Socio-Cultural Commission, please find attached the IPA Hosting Book kindly updated for April 2019 by Vossie Vos of IPA South Africa. 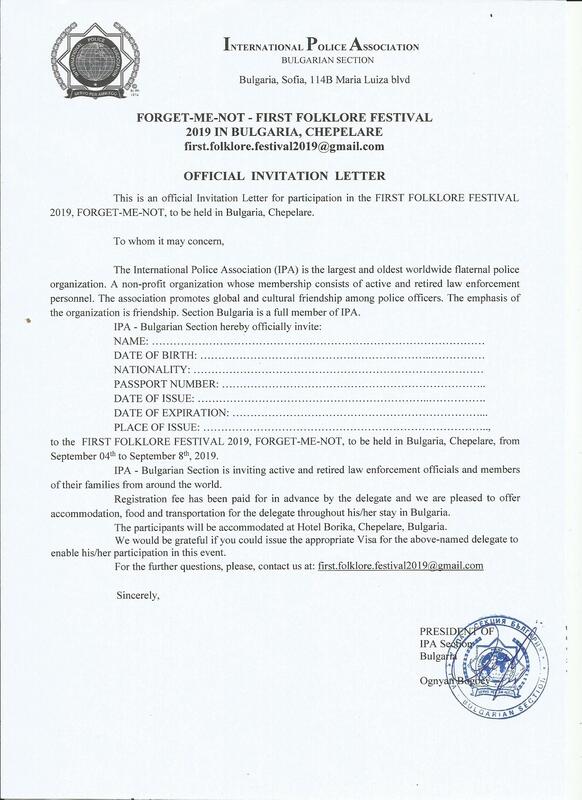 it is our pleasure to remind you that IPA – Bulgarian Section organize First Folklore Festival on 4th-8th September 2019.Please, inform your members about this event. We want to create together a big colourful celebration – national costumes, folklore music, dances, rituals, cuisine and souvenirs! A great opportunity to know each other culture! It is for IPA members and their families. Our kind request is to read the proposal and to spread it among your members. As you can see, we did our best regarding appropriate price. We are waiting for your response! 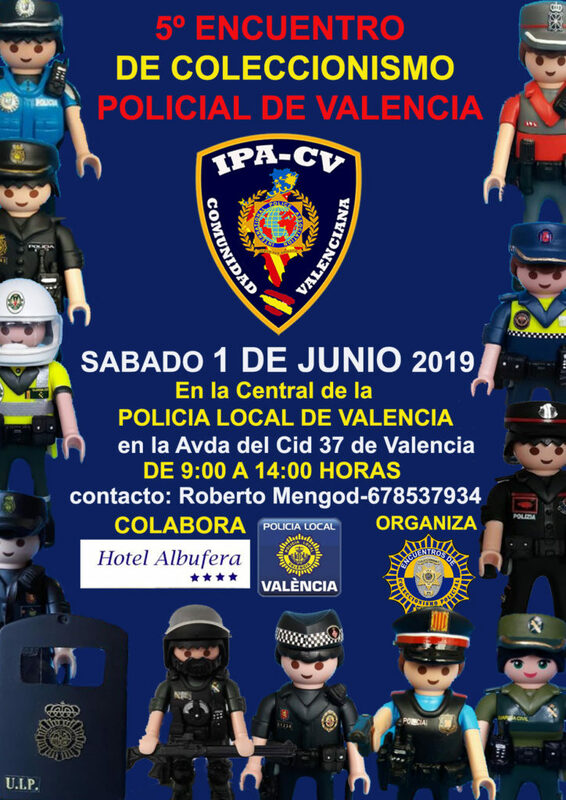 We previously circulated information regarding IPA Spain’s Family Superfun Week, and this email serves the purpose to inform you that the deadline for registration of this event has been extended. The previous registration deadline was 31st May 2019. The new deadline for registration is 30th June 2019. Please find the updated document for this event attached to the email.